Normally leased office space require lengthy contracts and comes empty (i.e., you need to furnish the office with furniture and equipment). 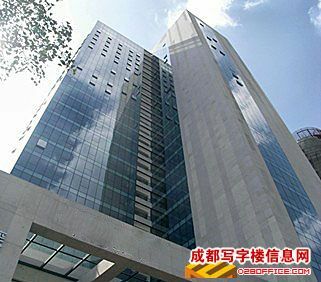 According to DTZ, as of Q1 2010, Chengdu has 360,600 m2 of Grade A commercial office space with a 17 percent vacancy rate. Rent averages at 107 RMB/m2/month (this down from RMB115.9/m2/month in Q4 2008) and is projected to rise by 5 percent by the end of 2010. For an explanation of the difference between Grades A, B & C of office space read “Categorization of office space is flexible“. Executive suites or business centers, where office space is fully furnished and then rented out to other companies, are called serviced offices in China. Serviced offices normally allow for flexible rental terms. Chengdu Today House Information co, ltd. – website has a comprehensive database of available offices for rent with photos. One page is in English. this one is really the best then.. I like it then.We can rent a good office space then. well I think this offices are very suitable for businesses.. great job guys.. keep on posting. I will share this site to my boss, we tackle sometime about new office for our next work… Thank you for sharing this.. The article is worth reading, I like it very much. Have a good day! And I hope you will go on to share your new ideas. We currently pay full price rent a business center in Shanghai. Convenient location, but a bit pricey. To reduce costs, there are several solutions: work from home + "virtual office" rent an office in "direct" (no business center) or share an office with other clubs. From a legal standpoint, it was explained that the representative offices must register in an "A-grade office." In short, my question is: what is legal, accepted … advice? What are the risks? Your blog is very good writing services. Your blog providing nice essay writing services and content writing services. So many students very happy your blog information. Thanks a lot.